It would be impossible to imagine the last four decades of pop music without the melodies of Barry Mann and the lyrics of Cynthia Weil. One of the most successful pure songwriting teams in history; Mann and Weil have created a body of work so significant it has often been described as "a soundtrack to our lives." Together, this husband and wife team have written songs like You've Lost That Lovin' Feeling (with Phil Spector), On Broadway with Jerry Leiber and Mike Stoller), Walking In The Rain, Kicks, Soul And Inspiration, We Gotta Get Out Of This Place, I Just Can't Help Believing, Here You Come Again, Never Gonna Let You Go, Just Once, and the Grammy nominated Don't Know Much (with Tom Snow) to name a few. The list of their chart hits spans the decades from the sixties through the nineties. However, no mere list can describe how influential their work has been. Early Mann/Weil successes like He's Sure The Boy I Love, Blame It On The Bossa Nova and Walking In The Rain established them as writers with the ability to create catchy songs. But soon they were producing words and music that had an impact far beyond that of the average hit. You've Lost That Lovin' Feeling and Soul And Inspiration were not just songs that launched The Righteous Brothers, they defined the genre we call "blue eyed soul". On Broadway, Uptown and Only In America transcended early rock and roll's romantic "moon and June" fixation. Kicks proved that Mann and Weil, could not only write for rock bands but that a commercial hit could address a serious issue like drugs. We Gotta Get Out Of This Place is not only considered one of the classic rock songs of all time but it became an anthem for Viet Nam soldiers and protesters alike. Here You Come Again provided country star Dolly Parton with her first crossover hit and helped country artists gain their rightful place in the world of popular music. Just Once launched the career of a great emotional vocalist named James Ingram and the soulful Don't Know Much reintroduced the world to the angelic voice of Aaron Neville. Mann and Weil began their careers in the 60's at Aldon Music, the legendary music publishing company founded by Don Kirshner and Al Nevins. They were members of a teen writing staff, which included Carole King and Gerry Goffin, Neil Sedaka and Howard Greenfield and Carole Bayer Sager. Among their other Brill Building colleagues were the likes of Jeff Barry, Ellie Greenwich, Jerry Lieber, Mike Stoller and Phil Spector. Throughout their collaboration, Barry and Cynthia have worked with other writers. Cynthia wrote the lyrics to Running With The Night with Lionel Richie, He's So Shy with Tom Snow, If Ever You're In My Arms Again with Snow and Michael Masser, the Grammy nominated Through The Fire with David Foster and Tom Keane and Wrong Again with Tommy Lee James, which hit #1 on the country charts. Barry was both co-writer, with Gerry Goffin and recording artist on Who Put The Bomp and he co-wrote I Love How You Love Me with Larry Kolber, How Much Love with Leo Sayer and Sometimes When We Touch with Dan Hill. In addition to countless appearances of their classics onscreen, Mann and Weil have created song scores for such films as An American Tail for which they wrote the double Grammy winning Somewhere Out There with James Horner. In addition to collecting Grammys for "Song of the Year" and "Motion Picture or Television Song of the Year", the song also received Golden Globe and Oscar nominations, won BMI's Most Performed Film Song award and became an instant standard. Other films in which Mann/Weil original songs have appeared include About Last Night, National Lampoon's Chrismas Vacation, Oliver and Company and Balto. Whatever You Imagine from The Pagemaster won Mann and Weil another Grammy nomination for "Motion Picture or Television Song of the Year" in 1995. The following year they created one of their favorite song scores for Muppet Treasure Island. Cynthia collaborated with John Williams on the theme for Steven Spielberg's A.I., For Always, recorded by Josh Groban appeared on the film's soundtrack CD. In 2004 Weil wrote Remember with James Horner for the film Troy. Remember was nominated for a World Soundtrack Award for "Best Song Written Directly for a Film". That same year, Cynthia once again collaborated with John Williams on a song for Harry Potter and the Prisoner of Azkaban. 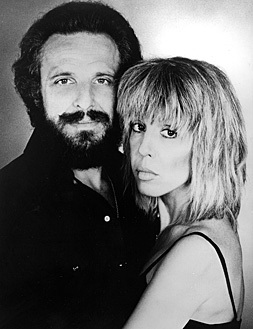 Barry and Cynthia, together, have amassed an incredible 112 pop, country and R&B awards from Broadcast Music Inc., recognizing highest performance popularity on American radio and television in a particular year and 115 Millionaire awards, signifying radio performances of a million or more plays. You've Lost That Lovin' Feeling has been honored as the most performed song in the BMI catalogue and the most performed song of the twentieth century. It has garnered more than fourteen million performances, the first BMI song ever to achieve that milestone. If played back-to-back 24 hours a day, this equals more than 65 years of continuous airplay. This rock and roll classic has also received 14 pop awards ...another record achievement and The Righteous Brothers' recording has been selected for inclusion in the Grammy Hall of Fame. Additional recognition of Mann and Weil's achievements include: the first Lifetime Achievement Award from the National Academy of Songwriters, The Clooney Foundation's Award for Legendary Song Composition, BMI's Robert Burton Award for the most performed country song of 1977, Here You Come Again, induction into the prestigious Songwriters Hall of Fame and the 2003 Heroes Award from the New York Chapter of NARAS. In 2010 Mann and Weil were inducted into the Rock and Roll Hall of Fame. In 2011 Barry and Cynthia were awarded the prestigious Johnny Mercer Award by the Songwriters Hall of Fame. The Johnny Mercer Award is the highest honor bestowed by the organization to songwriters who have established a history of outstanding creative work. In 2006, another facet of Weil's talent was revealed when The Stranger Game, a movie written by Cynthia and Judy Skelton, aired on Lifetime Television. In March of 2008, Mann and Weil's original pop rock musical based on the motion picture classic, Mask, also directed by Richard Maltby, Jr, premiered at Pasadena Playhouse. Anna Hamilton Phelan, screenwriter of the film penned the book for the theatrical version. In recent years Barry has also made his mark in the world of photography. He has had three exhibits in Los Angeles and a fourth in San Francisco. In May 2011, a children's board book entitled Rockin' Babies, co-written by Cynthia was published by Sterling Publishers and in January, 2014 her Young Adult novel, I'm Glad I Did, published by Soho Teen Publishing made it's debut. It is now in it's third printing. Barry and Cynthia currently appear in the hit show, Beautiful, The Carole King Musical, portrayed by actors as their young selves. Their friendship and competition with their pals, Carole King and Gerry Goffin are an important part of the story line of the show and many of their hits are part of the song score. 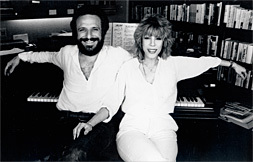 From songs, to books, to photography, to theater, Barry Mann and Cynthia Weil continue to explore new directions for their creativity.